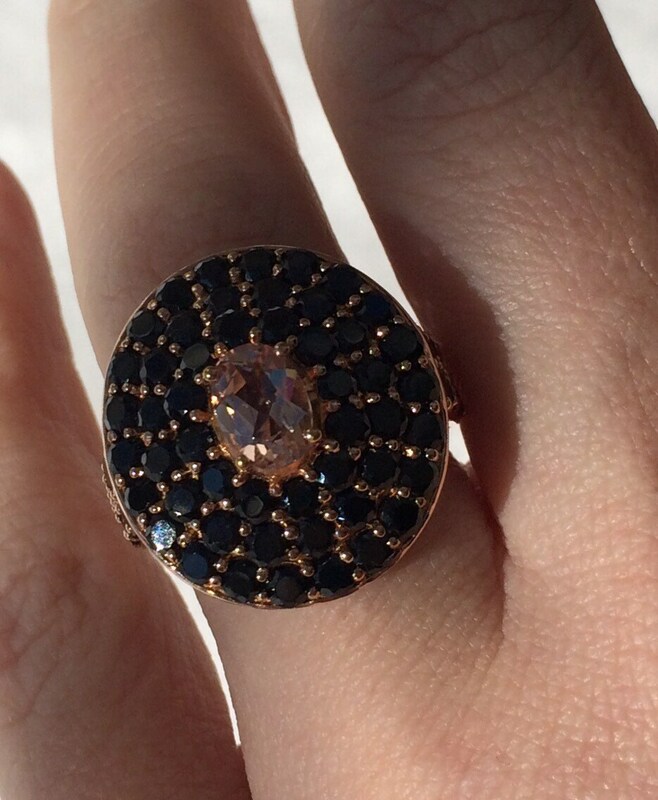 18K Rose Vermiel 4.96ctw Morganite & Black Spinel Ring. A burst of sparkling firework on a rosy hued sky! 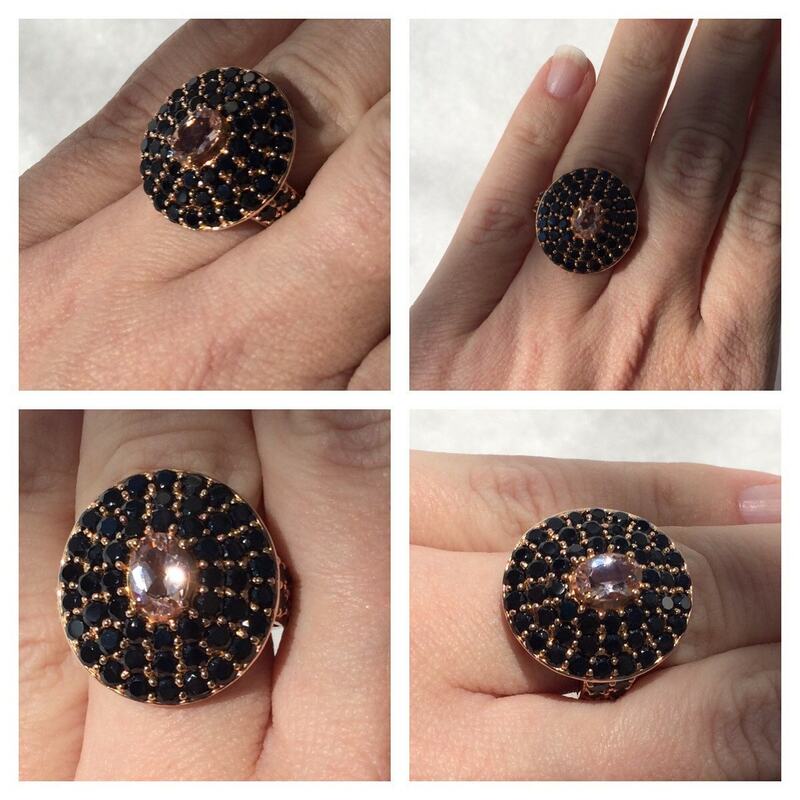 Crafted in 18K rose vermeil over sterling silver, this gorgeous ring features one oval cut 7 x 5mm pink morganite at the center. 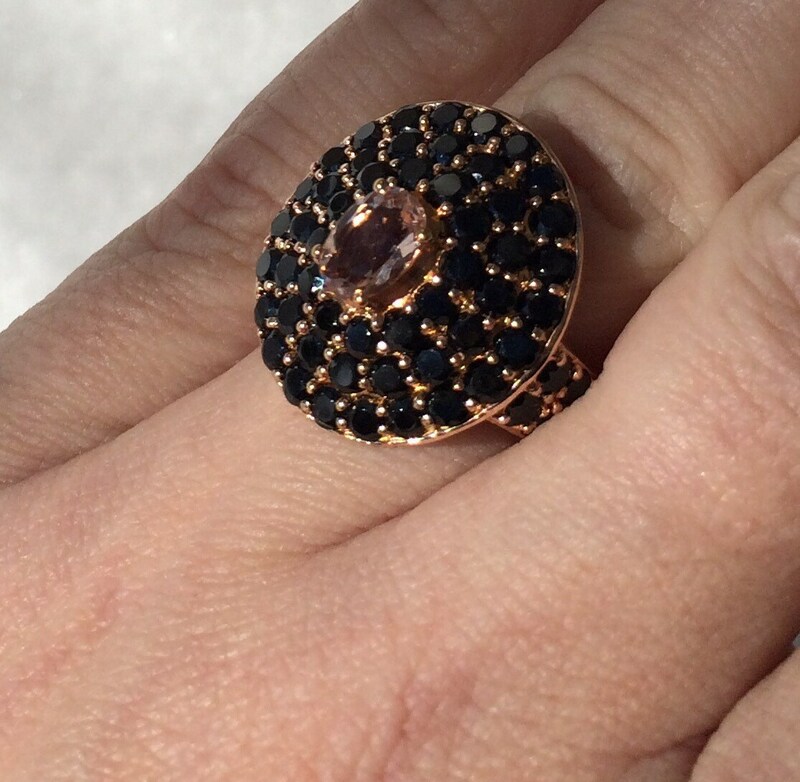 The center stone is surrounded with various round cut 2.5mm black spinels, that spill on to the sides of the top shank. 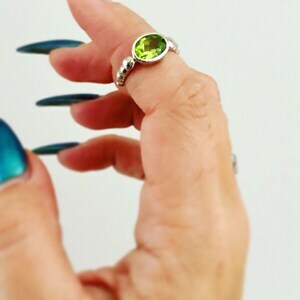 All of the gemstones are in prong settings. 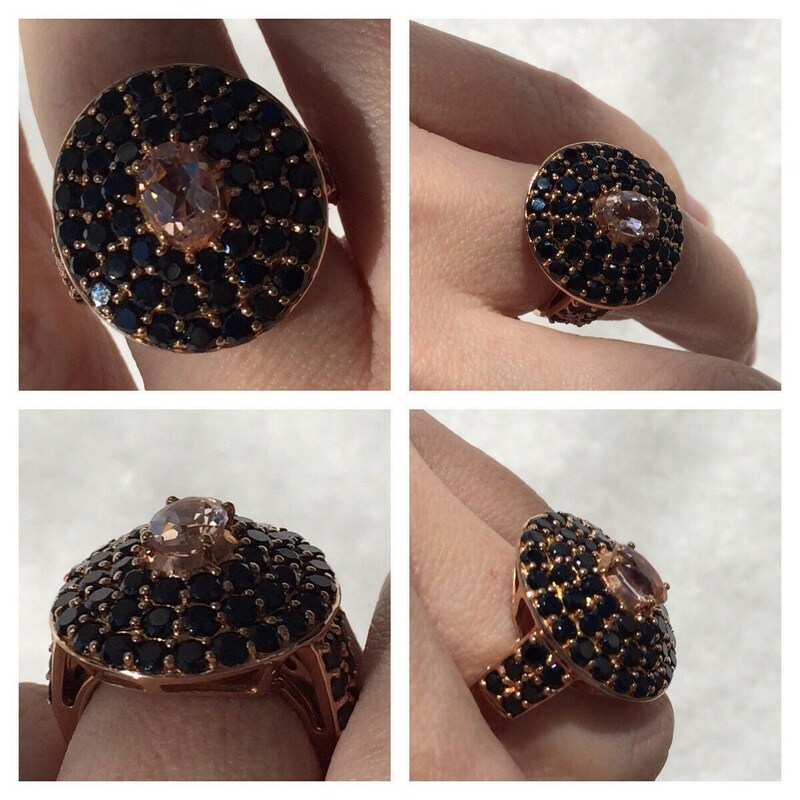 The total morganite weight is 0.66ct and the total spinel weight is 4.30ct (both approximate). 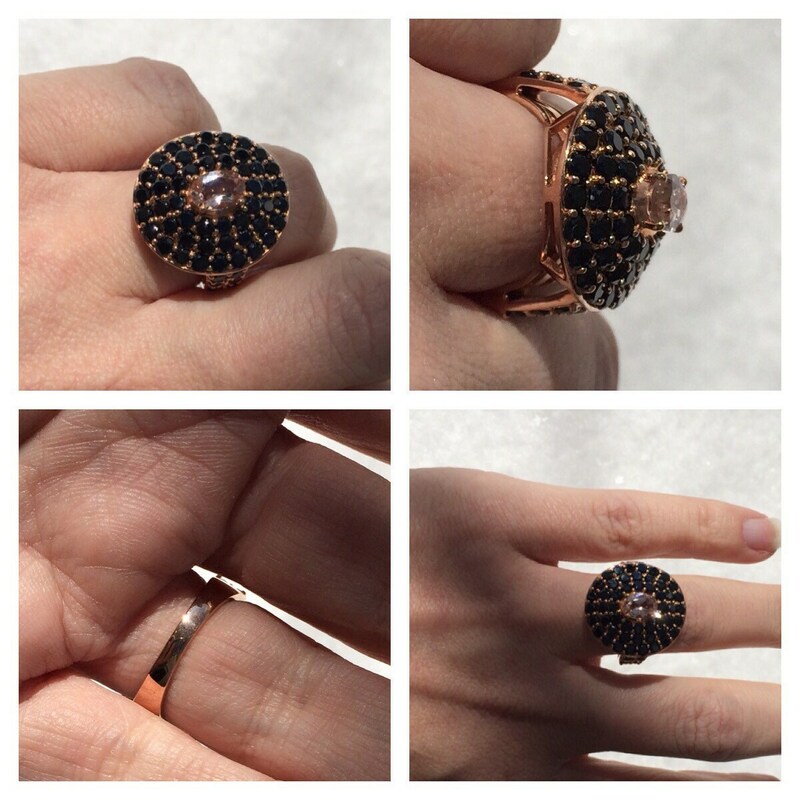 The ring measures 7/8"L x 15/16"W x 3/8"H and showcases a gorgeous undergallery. Coral brick road ! 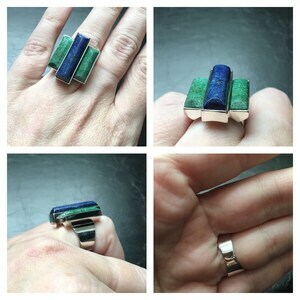 22 x 8mm Bamboo Coral & Peridot Elongated Ring Two-tone Sterling Palladium Ring. 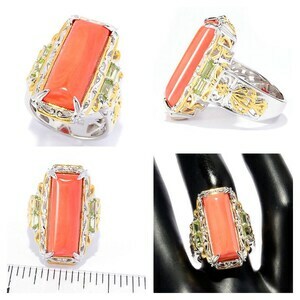 Coral brick road ! 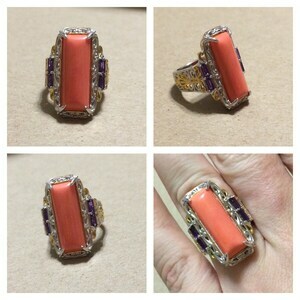 22 x 8mm Bamboo Coral & Amethyst Elongated Ring Two-tone Sterling Palladium Ring.